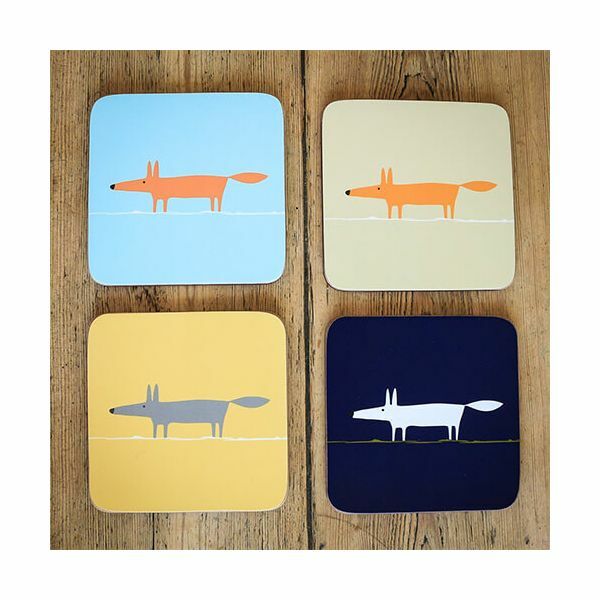 This Set of 4 Coasters feature Mr Fox in a range of bright and fun colours including: Indigo, Duck Egg, Neutral and Yellow. 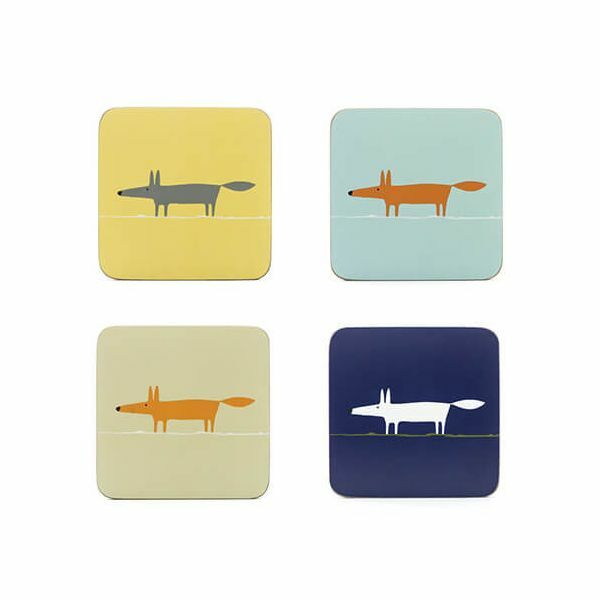 The melamine and cork backed Coasters are ideal for placing hot and cold drinks on, protecting your surface from heat and moisture. The Coasters add a splash of colour to your table setting and compliment other mugs, bowls and cups in this collection.